The waitress at Bolsa where we had brunch recommended this BBQ joint in the Bishop Arts District. We weren’t sure what to expect, but as it was local we thought it was worth a shot. 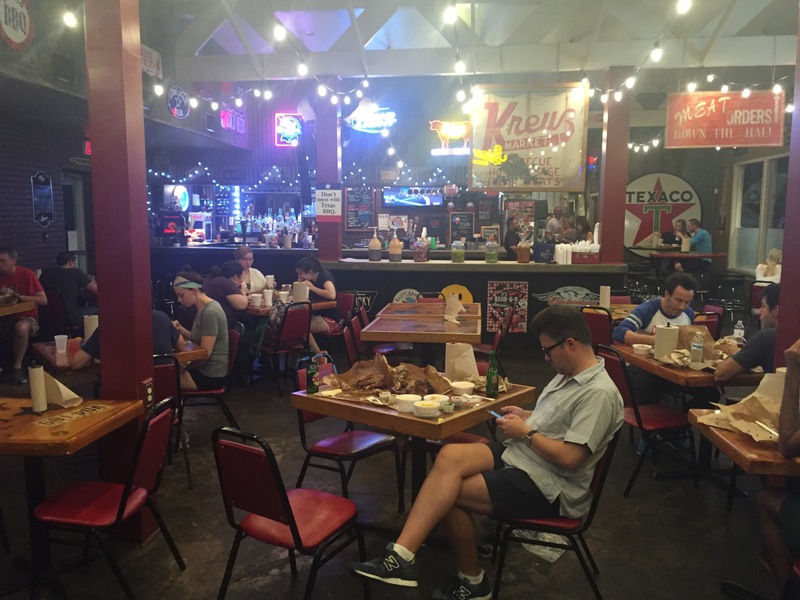 As soon as you walk in, you are hit by the smell of smoked meat, which leads you to the back of the restaurant where the smokers are housed. Lockhart’s sells its meat by the half pound: pork ribs, beef brisket, smoked chicken, jalapeño sausage… we joined the long queue of people waiting to order. We heard someone in front of us tell the smokers that the brisket was the best he had ever tried. Reading all the championship awards on the walls, we knew that what we were about to eat would be something special. We ordered ribs and brisket to share and Phil ordered a jalapeño sausage which were all rolled in brown paper and sent to the scales to be weighed. We shared two small sides: pit beans with burnt ends and spicy mac’n’cheese. The sides proved to be very spicy indeed – maybe the hot jalapeños are the Tex-Mex influence. 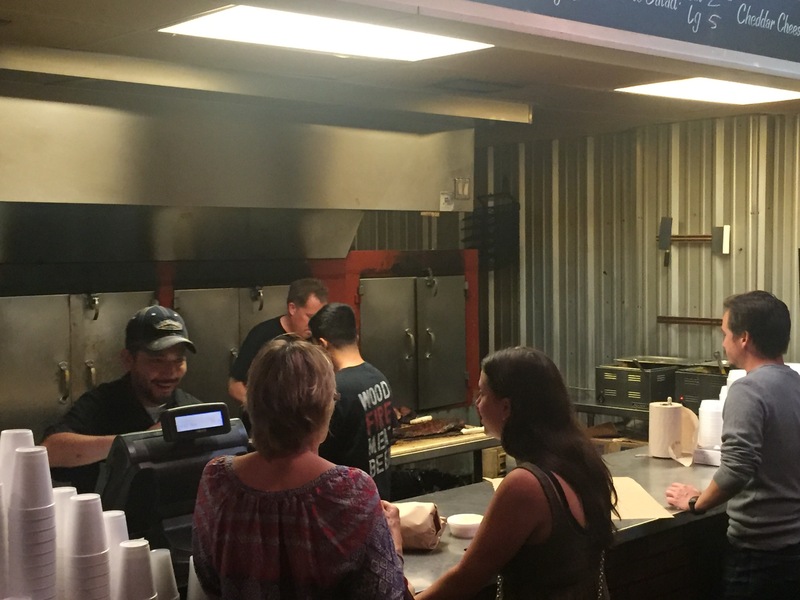 Lockhart’s is a rough and ready BBQ experience, ordering meat straight from the pit master and unwrapping the brown paper parcels to eat – no need for plates. Pickles and sauces are served from big jars in the middle of the restaurant. It works. We didn’t think we could find a brisket to rival Sandfly BBQ’s, but the pink tenderness of Lockhart’s brisket and the deep smokiness of the burnt ends was a divine combination. Texas sure knows its beef. Out of the four BBQ places we visited on our tour of the Deep South, Lockhart’s has the winning edge. It was unexpectedly brilliant. 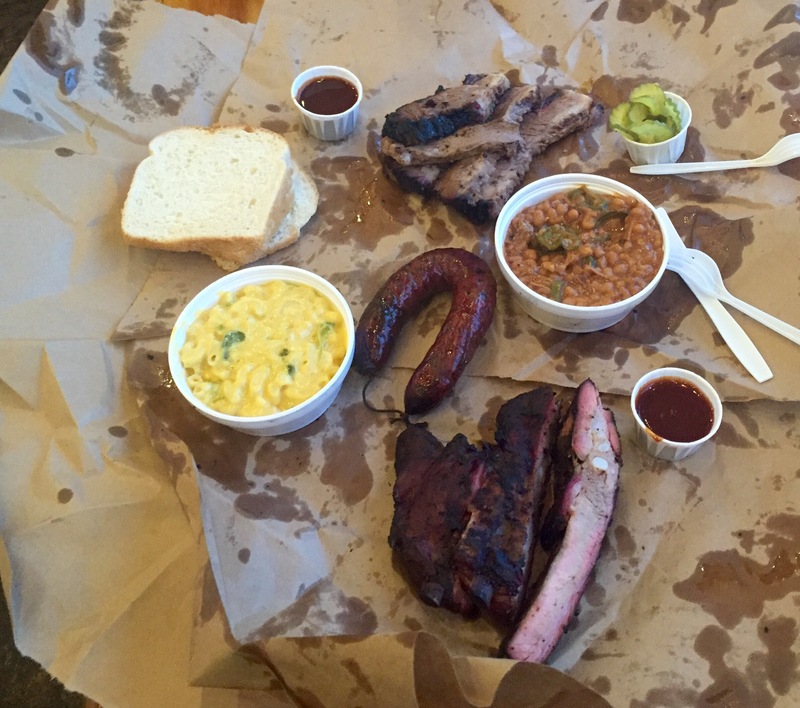 Sandfly BBQ, Savannah – you’re a very close second.